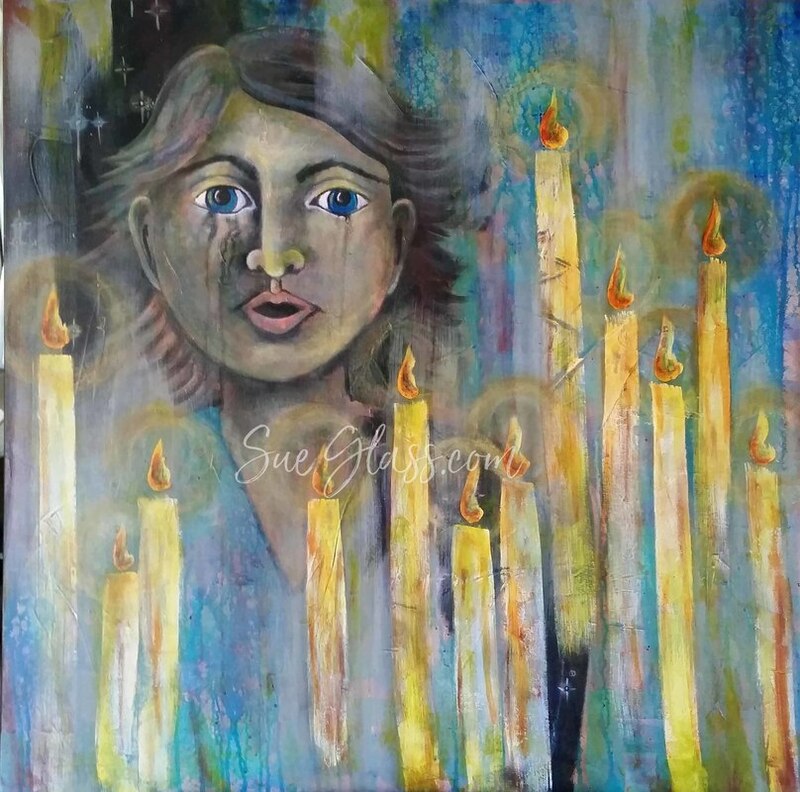 Working with me you will learn to connect to your story through painting in a soul centered way, ​often finding healing during the journey. ​Paint your Prayers, Wishes, Hopes and Dreams is a dream board painting experience where we use mixed media techniques creating an art piece for you to take home as a focus to bring your dreams alive! This is a one day course from 9 am-5 pm with a lunch break. There is a non-refundable deposit of $25.00 to hold your space and purchase your supplies. This deposit is applied to your total class cost of $75.00. There is space for 4 students per class time. ​Contact me to sign up today. 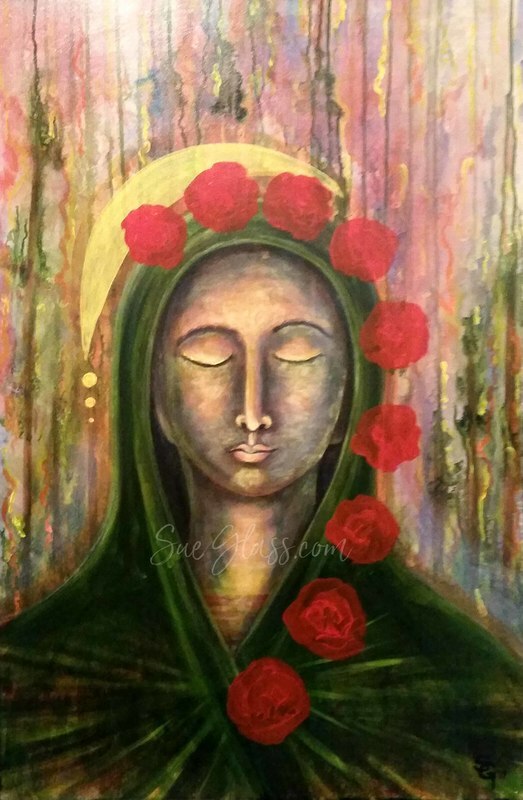 Painting Grace is an experience in connecting to the Divine through guided meditation while learning the techniques of painting the feminine face. Our story connects to the divine and the canvas is a magical portal to share our story with the world. 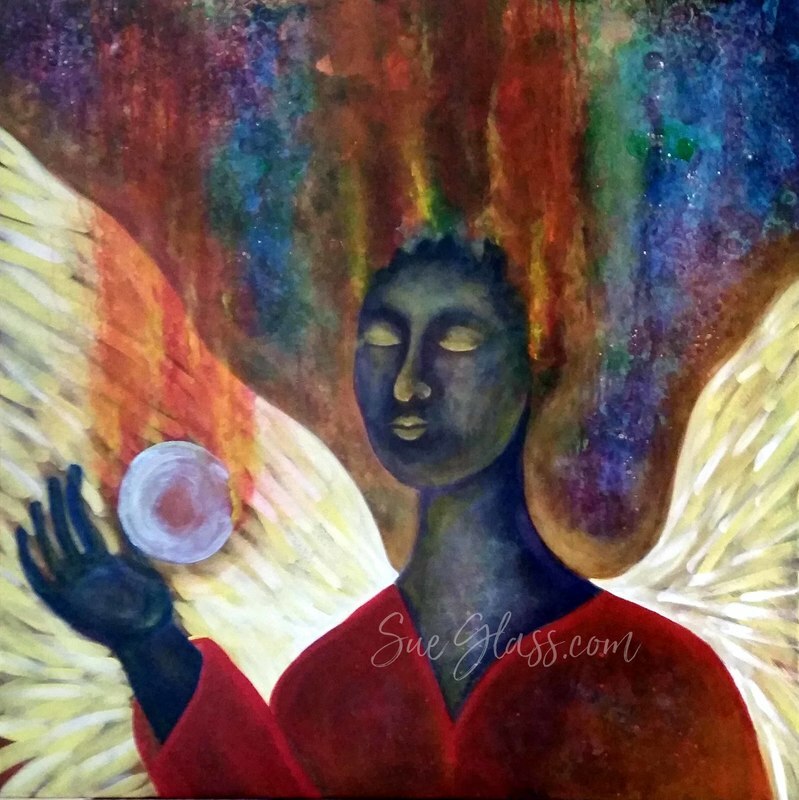 My studio is created to hold this sacred work and I will be your guide to bring forth the messages and symbols that surround you to tell your story. This is a two day process that will occupy approximately 4 hours each day. All materials are provided. A non-refundable $50.00 deposit is required to hold your space and to purchase materials.